2011 has so far been a pretty amazing year, both for me personally, and also for the larger Drupal project. After nearly three years of hard work Drupal 7.0 was released, Lullabot sent me on tour to teach people about it, Drupal.org’s CVS => Git migration launched, and Drupal’s 10th birthday was celebrated at the amazing DrupalCon Chicago, where my mug was plastered on the cover of Linux Journal and Drupal 8 development officially kicked off. Whew! Whoa! Who in the what now? In my new role as Director in the office of the CTO, I’ll be focusing on maintenance and release management for Drupal 7, core patch reviews, coordinating with Drupal 8 development, evangelizing Drupal all around the world, and more. But what about the ‘bots?! Unfortunately, this move also means I’ll be leaving the awesome team at Lullabot, with whom I’ve worked for nearly 5 years. Matt, Jeff, Liza, and the rest of the team have nurtured me on a journey from a wee PHP hacker to a consultant, trainer, book author, technical architect, and project manager. Lullabot has given me tremendous support over the years, and I’m eternally grateful to them for the opportunities and passions they’ve allowed me to pursue. Plus, they’re just some of the greatest people I’ve ever known. Basically, not much will be too different from before, other than I’ll be even more active in the issue queue, in various groups discussions, and on IRC, since it will be my job now. :) Dries and I will also be able to communicate and collaborate more closely than ever before, so expect things to pick up steam! Community-related things that I’ll work on include maintaining Drupal 7, figuring out the Drupal 8 -> Drupal 7 backporting process, helping to create some communication and coordination around the Drupal 8 initiatives, and more. As you can see, this is a truly amazing opportunity. I think being able to provide this sort of focused attention on Drupal itself will really help to increase our community’s progress and momentum. And I’m hugely looking forward to the opportunity to work full-time on what I’m most passionate about: Drupal. this totally made my day! 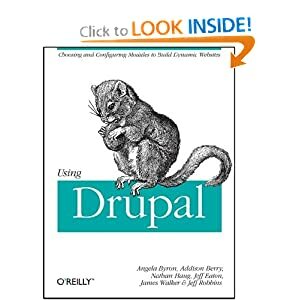 From someone who is also about to embark on a dream job in a new place, a chance I got precisely because a few years ago I thought this Drupal stuff was neat and might be a good thing to learn, I say congratulations and thank you for all you've done. I had the same experience nearly six years ago. I did a volunteer job building a web site for a congressional candidate in New Mexico in winter 2003/2004. I chose Drupal after learning about the DeanSpace project. I ended up winning an award for that site and the job of my dreams fell into my lap a short time after. I've now been working with Drupal full time for six years and have gotten some fairly ridiculous opportunities over the years as a result (even landed an offer for senior developer at whitehouse.gov which my employer counter-offered). I've done web sites for hundreds of political campaigns including Barney Frank, Jack Murtha, John Lewis, Gov Pat Quinn, and former Gov David Paterson (it was the best web site he never saw :-D). I've been to three DrupalCons, various DrupalCamps and meetups and have assisted with some of the government Drupal projects. This is an amazing community and I am incredibly grateful to be a part of it. Glad your hard work continues to pay off =) I'm pretty sure you'll keep on doing an amazing job! Congratulations. Amazing news! Thank you for all your work Angie, good luck for your new assignments, it'll be even better for Drupal! Big up! Looking forward to hearing about how life is going to be for you at Acquia. Is Acquia as virtualized as Lullabot? I get the sense (maybe just from the logos) that the two companies have somewhat different cultures. What wonderful news for you! I'm pleased as all get out to read your news. Sad for the Bots - but thrilled for you. That's huge news! I'm really pleased to hear that you, a person with the Drupal energy and stamina like no other, will be in an amazing position to keep the Drupal momentum, quality and spirit moving onwards and upwards. A huge congrats to you, Angie, I can think of no better person to lead an official Acquia team to focus on core & the community, and I look forward to many great things to spring from your fingers in the coming years. I'm eager to see what the Combo Dries+webchick will achieve... Very interesting, when you know what they've already done (Drupal 7). Drupal 8 promises to be great ! Congratulations Angie! This is fantastic news for the Drupal project. Hi Angie - Great news for you! Are you staying on the west coast? Hope so! This is fantastic news. Perfect move, the only one I could imagine for you, though you seemed to fit with the bots so well! Congratulations! Sad for Lullabot, but great for the Drupal community and CMS. Awesome news for you. Congratulations! Your impact on the Drupal community has been tremendous. I can only imagine how mind-bogglingy strong it will become now! Congrats from Spain Angie ;). Congratulations - it's great to see good things happen to people that exemplify community and hard work. This is good news for everyone... except Lullabot, of course. Congratulations! Congrats and thank you Angie. We are all in your debt. This is great news, Angie. I hope you can squeeze in some time for the local Boston Drupal group that Moshe runs. I'm sure I'm not the only one who love to meet you in person. Congrats, great to hear that you will be now full time on our beloved Drupal Development. 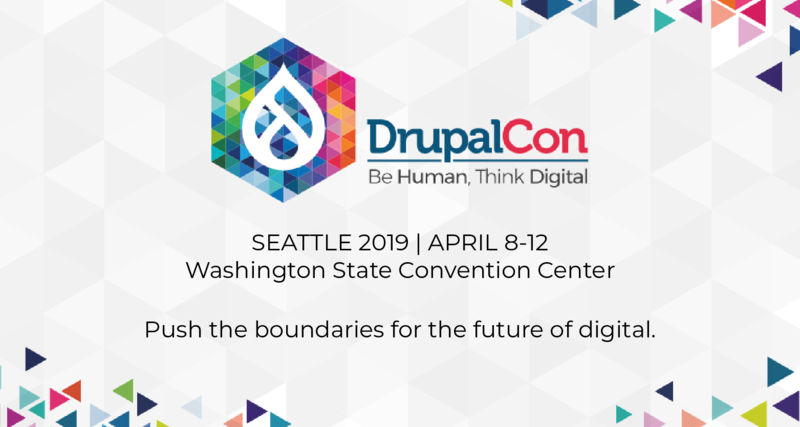 This is an amazing opportunity to you and very good news to Drupal and the community!!! Congrats for the amazing opportunity to work full-time on "making Drupal awesome". You've certainly earned it. And what an amazing boon for Drupal this is! And while it's true that Acquia has some cultural differences from Lullabot, it too is a GREAT company to work for. And with you joining, about to be even more so! Angie, congratulations and a huge thank you for all you have done and are doing for the Drupal project and community! "...collaborate more closely than ever before, so expect things to pick up steam!" I thought things were already steaming along, now it sounds like we're going to be at warp speed in no time! Keep up the good work Angie! Yeah - so happy for you! Enjoy it. Hi, I'm Angie, and I'm a geek. If you want to know more, read all the boring details.